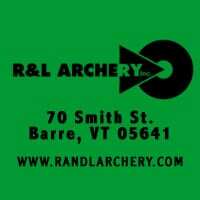 There is no Universal Background Check requirement under the 2nd Amendment, nor Article 16 of the Vermont Constitution. GS LIE 2: The average background check takes 30 seconds and costs less than $30. For EVERY sale through an FFL, Form 4473 MUST be filled out COMPLETELY AND PERFECTLY! No corrections, no erasing, no scratch-outs. Form 4473 consists of 36 questions, divided into almost 80 sections. 17 questions (35 sections) are for the buyer, the remainder for the seller. Filling out the buyer section takes about 4 minutes (if you don’t mess up). The FFL licensee will then spend 5-10 minutes filling out their portion of the paperwork. When the form is completed, the FFL will charge you a fee for performing this transaction, so add another minute. After the payment for the background check is completed, the FFL dealer then contacts the NICS hotline, relays all of the buyer’s personal information, awaits a response and completes the paperwork. GS LIE 3: In Vermont there are more licensed gun dealers than post offices. Approximately 15% (about 50) of all FFL holders have a publicly accessible storefront that is open to the general public on a regular basis! Many FFL holders are MANUFACTURERS. Over 50% of all FFL holders are GUNSMITHS working out of their PRIVATE homes! GS LIE 4: 99% of Vermonters live within 10 miles of a licensed gun dealer. 99% of Vermonters probably do NOT live within 10 miles of a licensed gun dealer. G.O.V. is in the process of verifying the location of license holders with storefronts at this time. 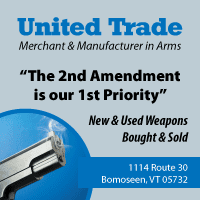 Gun Owners of Vermont: Armed with the FACTS, and not afraid to use them! This entry was posted in Uncategorized and tagged fact, Gun Sense, Lie of the Day, truth. Bookmark the permalink.